It’s been a very long time we haven’t posted anything on the blog, so we thought it would be nice to give you a small update about what’s going on and the coming projects. As you know, our first album The Monotony of the Extraordinary has finally been released! A huge thanks to everyone who came to support us for the release event at Shibuya Cyclone! We were very pleased to see so many people showing up for this very special moment for us. For those not living in Japan, the album is available on all the usual platforms, iTunes, Amazon, Mora, Spotify, etc. We’ve also been busy with shooting our new music video for the song Ames Sœurs. 3 days of shooting for what has been our biggest video project so far. It will hopefully be released in November, so stay tuned! So what’s up next? First, we have a couple of shows this month, including the pre-release party on October 30 of the movie SHOUT, which features our song Dans les Bras d’Eole in its soundtrack. Please come and have a beer with us, the actors, directors and producer! In November, we’ll be playing a few acoustic shows to promote the release of the music video for Ames Sœurs. 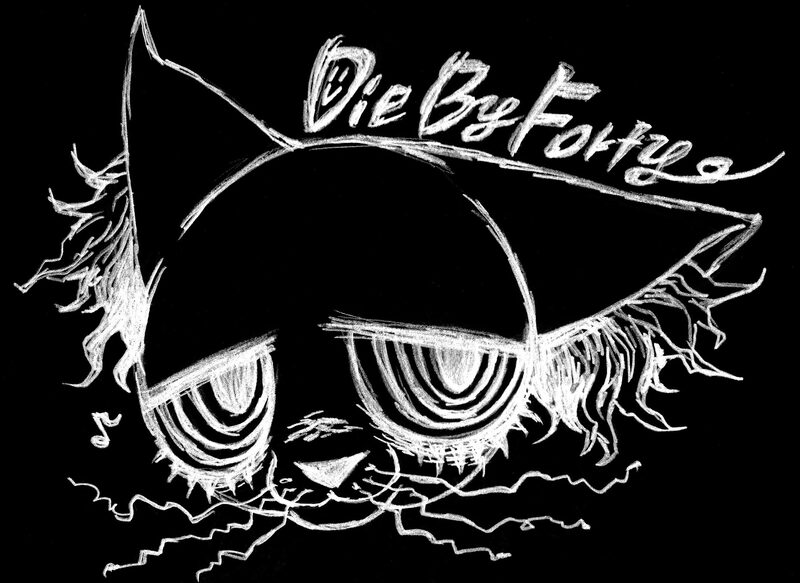 We will rearrange our songs and play some others we usually don’t play live, so it will be a good opportunity to discover a different side of DieByForty!